Skill Pro Handyman is an all-around good name to know when you have a property to maintain. Especially if you’re a homeowner, your house and land are an outward representation of who you are and your personality. Beyond that, it’s equity and an investment for the future. As a result, you can improve your enjoyment of your land now while at the same time benefiting later from the effort. There are many additions that you make will result in some benefit, but fence installation for Sydney homes is one of the most effective ways. Not only will you feel added security, but you’ll also appreciate the enhanced beauty of your home when you have tasteful fencing for your Sydney home. Why Choose Skill Pro Handyman for Fencing Installation in Parramatta and Other Areas? Skill Pro Handyman has the background and experience you can rely on in any situation you’d need a handyman. We have over 20 years of experience serving the Sydney area, so during that time, we’ve learned how to provide comprehensive and long-term home care handyman services. Over the course of time, we’ve had experience installing a variety of fences and worked on many homes that have already had them installed. There are many situations where it works well: perhaps you want to give the kids a safe place to play outside and not worry about strangers dropping by, or let the dogs run free without risk of them running onto the road. Even the simple aesthetic of a fence can accent architectural choices and bring out aspects of your home that you never appreciated before. The type of home you have will determine the best kind of fencing. Parramatta residents have found success with everything ranging from simple metal fencing to cordon off a section of the yard all the way through multi-panel automatic fences with remote entry. In our experience, we have found that COLORBOND fencing provides Parramatta with a high-quality appearance and the strength of steel. This type of fencing has been crafted in Australia for Australia conditions so that it will retain its appearance far longer than most alternatives. 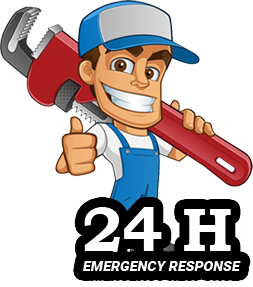 We are a mobile handyman service and travel around the Sydney area 24 hours a day. No job is too small or too large – our experience has let us know how important even the smallest detail is to homeowners and business owners. When your comfort or your livelihood is on the line, you need to count on a handyman who will be there when most needed. We’ll provide you with free estimates, so you know what to expect for all kinds of services from fencing installation in Parramatta to plumbing, from property maintenance to bathroom installations. We are fully licensed and insured, so you’ll always be getting the highest quality service with your safety in mind. Contact us today to find out more, and then save our number in your mobile, so we’ll be there any time you need.